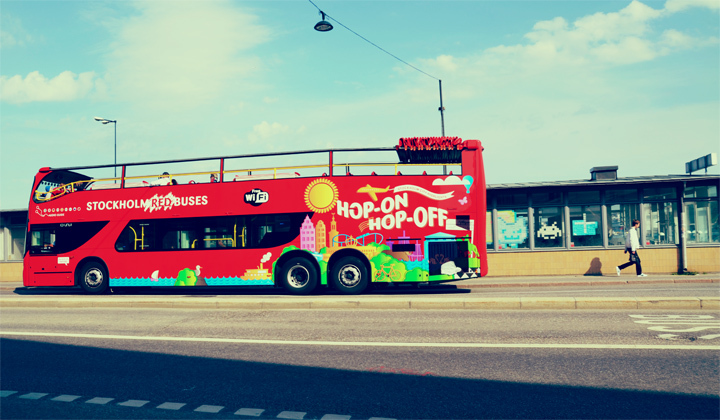 These hop-on-hop-off buses are very popular among tourist and it is a quite effective transportation choice if you are interested in seeing a lot of different places and streets during a couple of hours. Visit places of interest such as Strömkajen/The Swedish Royal Palace, Vasa Museum, Djurgårdsbron and Stureplan. At most of the bus stops you have the opportunity to switch for boat transportation, where you can enjoy Stockholm by boat. By your ticket on the website or on the bus.